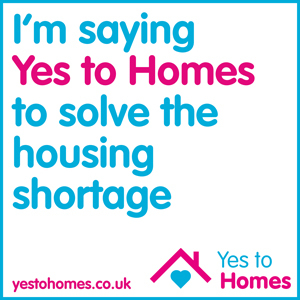 The Yes to homes campaign supports those who believe that new homes are needed in their communities. We need more of the right homes, at the right price, in the right place. This campaign links into the plans for 1000 new Council homes in Reading over the next 30 years. The borough council wants to invest in its existing housing stock and build new homes across the town. This entry was posted in Ward News and tagged Yes to homes on December 4, 2014 by Ashley Pearce.